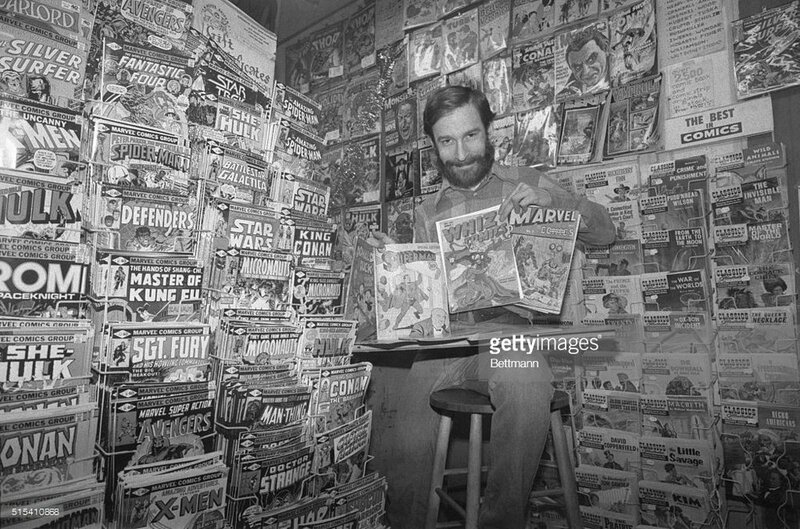 From early 2012 and up until his passing in late 2014, I had the good fortune of knowing Edward Summer, who had been the owner of the legendary Supersnipe Comic Book Euphorium (the first dedicated comic book store on the East Coast), and friend and business partner to George Lucas with whom he co-owned the neighboring Supersnipe Comic Art Gallery in the 70s and 80s. I recorded several of our conversations from May to October of 2012 as source material for Kitbashed pieces, but Ed's wide-ranging stories covered everything from film school in the 60s through his work on Conan, being the first outsider to see RoboCop, sneaking in to King Features to look at original Flash Gordon art with Lucas, interviewing comic book artists, as well as of course the story of how he started his famous comic book store. All told the recordings amount to about six hours, or forty thousand words. We kept in touch until his passing, but did not record our later conversations.